Extreame Savings Item! Save 46% on the Tiptree Chocolate Spread - 210g (0.46lbs) by Tiptree at Smokey Robinson Foods. MPN: JOCA-10532. Hurry! Limited time offer. Offer valid only while supplies last. Wilkin & Sons have blended real Belgian Dark Chocolate 60% with sugar, butter and double cream to create a rich, versatile Tiptree Chocolate Spread. 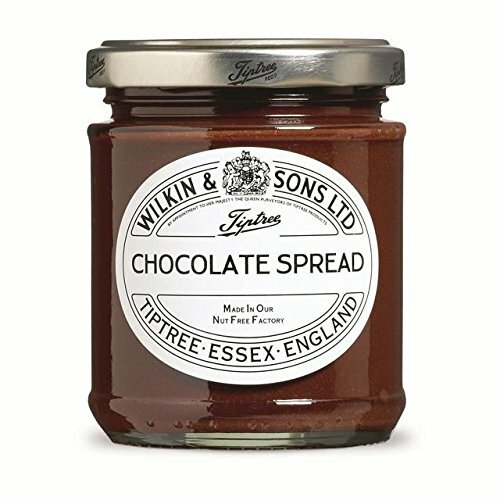 Wilkin & Sons have blended real Belgian Dark Chocolate 60% with sugar, butter and double cream to create a rich, versatile Tiptree Chocolate Spread. It's comforting to know that it's nut-free and palm oil free. Anyone avoiding nuts, palm oil and those on a Kosher diet can now enjoy a deeply delicious chocolate moment.